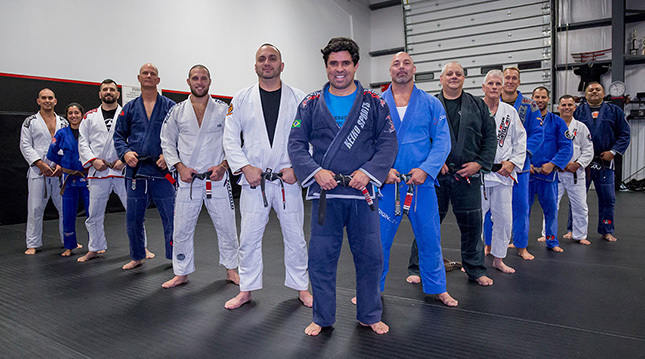 Founded on efficient movements and refined throughout the decades by the Gracie family and their students, this combat-tested method is intended to teach practical self-defense through submission grappling and the striking arts. 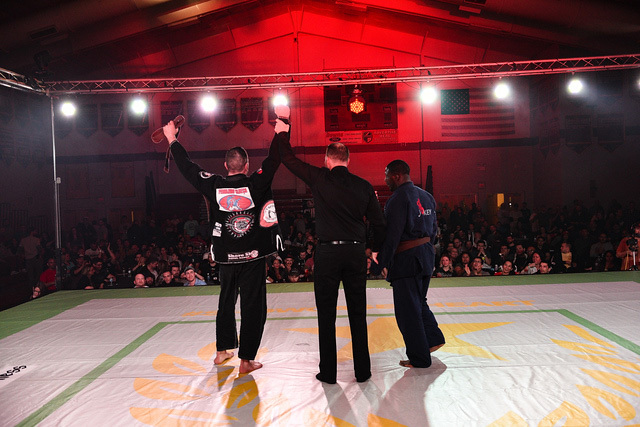 Brazilian Jiu-Jitsu has been specifically designed to defend against punches, kicks, chokes, headlocks, bear hugs, and many other common forms of street aggression. You will learn not only techniques specific to certain situations, but also universal self-defense strategies through a comprehensive look at up-to-date grappling and self-defense techniques. Your fitness will improve through a comprehensive warm-up and physical conditioning program included in every single class. This style promotes strong grappling and ground fighting techniques. Practitioners develop balance and control, and can defeat much larger and stronger opponents. An attacker can be subdued with a joint lock without causing great physical damage. The student trains with a uniform or gi. This provides for a more advanced grappling strategy and allows the student to be prepared for self-defense while being clothed with a jacket. 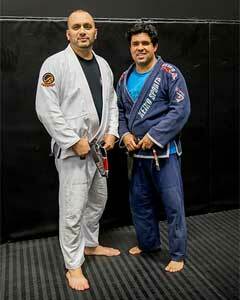 Training can also be done without a gi. The first minutes of the class are dedicated to warming up and loosening of all the muscles, followed by technique and basic moves. 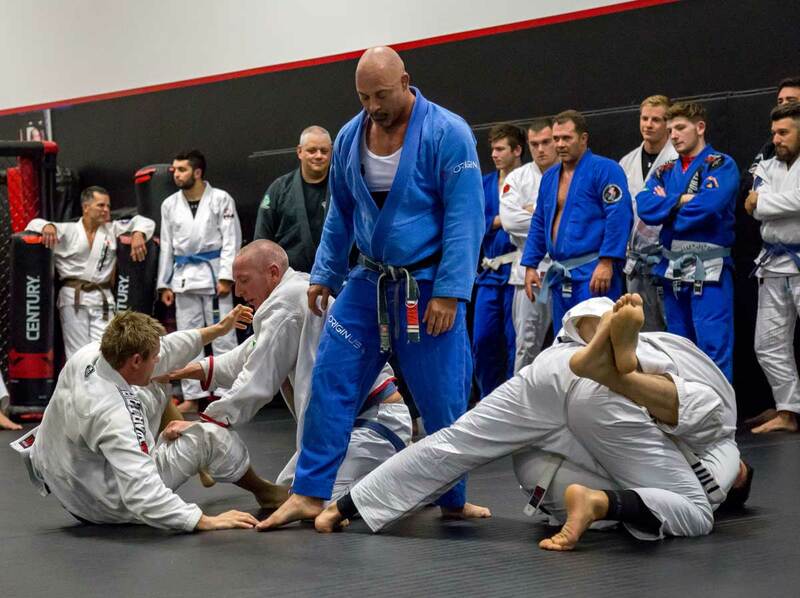 Through various drills, your mat awareness and sensitivity will start to develop. The last part of the class for advanced students is dedicated to sparring–this is where you will try the various techniques on an opponent in a “live” setting under professional supervision and proper control. 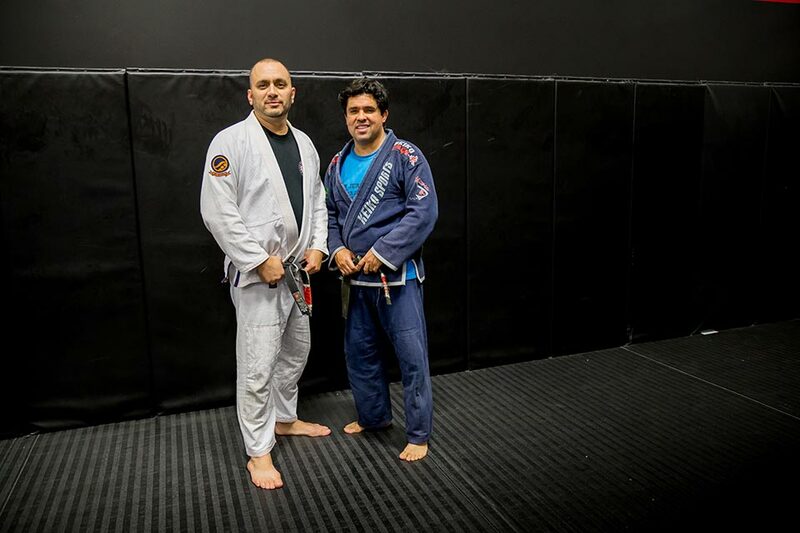 Our Brazilian Jiu Jitsu Program is headed by BJJ Black Belt and NJ BJJ Federation President, Fernando “Cabeça” Sarmento Jr. Also teaching the classes is Eric Colòn who is a Black Belt in Brazilian Jiu Jitsu under Professor Sarmento Jr.
For more information on both instructors please visit our instructor’s page.